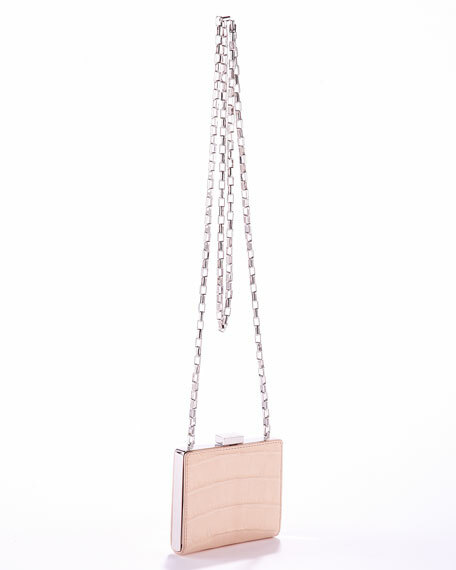 Chain shoulder strap, 27" drop. 4"H x 4 1/2"W x 3 1/4"D.
Michael Kors founded his self-named label in 1981 and later also served as designer and then creative director at French house Celine. His luxurious take on American sportswear and showstopping evening gowns have earned him not only red-carpet fans but also multiple awards from the CFDA, among other fashion institutions. His collection includes apparel for both men and women, as well as accessories and fragrances.